I would like to suggest that you post this on your blog. Especially if your blog is to remain dormant, because then this will appear at the top of the list. That would make this post available for view for a long time, without it continually being buried by new topics. One of my most repeatedly-quoted verses, Luke 21:36 -- “Watch therefore, and pray always that you may be counted worthy to escape all these things that will come to pass, and to stand before the Son of Man.” If we are to be found worthy to escape "these things" (the coming trials of the Great Tribulation), then we had darn well better know about them, eh? This is the only point I would disagree with. But the exposition of the reasons is too long this forum. Here is a summary of one part: Under the more literal translation of Daniel 12:11, the meaning of the verse indicates that the 1290 days will begin with the complete annulment, by the King of the North, of Judeo-Christian worship in Jerusalem. Or, at the least, such worship in the most holy place: on the Temple Mount or in the ancient City of David, if the latter is found to be the original site of the Temple. The 1290 days will come to an end when the Abomination of Desolation is placed; then the Great Tribulation ensues for all or part of 45 days. These things mean that the 1290 days will be both Pre-Tribulation and Pre-Wrath. Those “blessed/happy [ones]…who earnestly wait, and attain the 1335 days” are ones who successfully both “flee to the mountains/wilderness” and are “accounted worthy to escape all these things [of the Great Tribulation] that shall come to pass, and to stand before the Son of Man.” Luke 21:36; Rev. 7:9 Quite possibly a day of Pentecost will be when the elect/worthy ones ascend upon the heavenly Mount Zion. The 3½ times/1260 days found in Daniel 12:7 and other Scriptures will be the topic of a later blog. That period is Post-Tribulation. The above is from the blog post The 1290 and 1335 Days of Daniel 12:11-12, found here: https://www.worthychristianforums.com/blogs/entry/1440-the-1290-and-1335-days-of-daniel-1211-12/ The blog post on the 1260 days follows right after this one. The point being that there will be a minimum of 3½ times/1260 days after the ascent of the Church and Christ's return in the Revelation 19 scenario to defeat the Beast and the kings of the earth. There is merit in understanding the things to come. Behold, I have told you in advance. Matthew 24:25 So, you too, when you see all these things, recognize that He is near, right at the door. Matthew 24:33 Otherwise, I doubt that Jesus would have said these things. I think that since 30% of scripture was prophetic at the time of it's writing, in must be something God thought important enough to inspire. I have to conclude that although ecstatically is not salvific, I do not have any right ti judge it as unimportant. I think the "pan-trib" and "pan-mill" positions, are disrespectful to God. Debate, in the since of getting angry with those who disagree, is inappropriate, it is not a hill to die on. At the same time, how is is at all loving, to not share insights with others, and topics that God gave us information to understand? So yes, I think it is a worthy topic. On the other had, it can become a hobby horse theology, that diverts us from other things. I hope I am not stepping on any theological toes here, but I do not think eschatology compares with debates about whether angel mated with human women, or if the earth is flat or a sphere. Things that really matter, are who is God/Jesus, what does He expect from us, how are people saved, what is the gospel, how so live holy lives and yes, even being prepared for and understanding, what lies ahead. Think of it this way: If you were a Jew, pre-messiah, would you have wanted to understand, that the Messiah would come to suffer and die for us? Would that be worthy? I think it would be, but it would have been hotly debated. Should we in that position, have avoided the debate? Now, as I said, we can get overly focused on this topic, here are some signs that this has happened to you: You use the left behind books as devotional reading You get goosebumps when you hear a trumpet You think the term the "church fathers" refers to Hal Lindsay and Tim LeHaye You believe that there are original Greek and Hebrew texts with Scofield notes You can name more signs of the times than you can commandments You refuse a tax refund check if the about comes to $666 You get nervous around Barcode scanners You try to talk your church into adopting the 60's pop song "Up Up and Away" as a Christian hymn You'd never buy green bananas You leave the top down in your convertible in case the rapture happens *those are not original with me One last thing, if you get the humor in the ones above, you might be overly focused as well, since "normal" people may not even understand them! Makes sense. I would add it's essential to be able to answer the opposition as well. Diaste, I agree. I think it is of utmost importance. Any serious student of the bible would know that Jesus places eschatology (the study of last things) front and center, as can be seen in many of the parables. Death and the afterlife, Heaven and Hell, the second coming of Jesus, the resurrection of the dead, the rapture, the tribulation, millennialism, the Last Judgment..... these are found in many places in the Bible, in both the Old and New Testament. It is our duty as Christians, not only to evangelize, but to have a good grasp of the Scriptural teachings of the end times, so that we can give an answer to those who are new to the faith. I am of the opinion it is. It matters a great deal to me but is it really a big picture, worthy endeavor? Yes, you need to be careful, while I can make mistakes, I try to choose my language carefully, so as to not be misunderstood about what I am saying. I cannot count how many times, I have had to reply to someone with "I did not say that, what I said was . . . " I can get alloyed when people see what they want to see, reading between the lines (they think) when for the most part I say what a mean, without much more or less intended. it does help, thanks. i had to go back and re-read your number 8 and i must have skimmed over the for His church part at the end. I went ahead and posted some other verses where it speaks of thief in the night and another passage that came to mind to make it easy for someone else to find the scriptures who may be interested. there is another place where it speaks of thief in the night... 2Pe 3:10 But the day of the Lord will come as a thief in the night; in the which the heavens shall pass away with a great noise, and the elements shall melt with fervent heat, the earth also and the works that are therein shall be burned up. 2Pe 3:11 Seeing then that all these things shall be dissolved, what manner of persons ought ye to be in all holy conversation and godliness, 2Pe 3:12 Looking for and hasting unto the coming of the day of God, wherein the heavens being on fire shall be dissolved, and the elements shall melt with fervent heat? 2Pe 3:13 Nevertheless we, according to his promise, look for new heavens and a new earth, wherein dwelleth righteousness. and here too: Rev 16:15 Behold, I come as a thief. Blessed is he that watcheth, and keepeth his garments, lest he walk naked, and they see his shame. and this passage also comes to mind: Mat 24:42 Watch therefore: for ye know not what hour your Lord doth come. Mat 24:43 But know this, that if the goodman of the house had known in what watch the thief would come, he would have watched, and would not have suffered his house to be broken up. Mat 24:44 Therefore be ye also ready: for in such an hour as ye think not the Son of man cometh. Mat 24:45 Who then is a faithful and wise servant, whom his lord hath made ruler over his household, to give them meat in due season? Mat 24:46 Blessed is that servant, whom his lord when he cometh shall find so doing. Mat 24:47 Verily I say unto you, That he shall make him ruler over all his goods. Mat 24:48 But and if that evil servant shall say in his heart, My lord delayeth his coming; Mat 24:49 And shall begin to smite his fellowservants, and to eat and drink with the drunken; Mat 24:50 The lord of that servant shall come in a day when he looketh not for him, and in an hour that he is not aware of, Mat 24:51 And shall cut him asunder, and appoint him his portion with the hypocrites: there shall be weeping and gnashing of teeth. OK Cletus, you should be able to scroll up, or click this link: See if that does not clarify a little. no rush. no worries. take care of yourself. Sure, I can do that Cletus. Right now I cannot, but I will get to it sometime in the next 24 hours, I should think. Sure Cletus! The coming like a thief language, is used several times in scripture, relating to Jesus's coming. I think that if you look at such passages, you will find that the contexts, stress the sudden, and unexpected nature of that return, and that there are two kinds of people who are pictured in these various "as" scenarios. As it was, in the days of Noah, for example. Two kinds of people those who are taken, those who are left, those who are surprised, those who are expectant. Now, in the case of Noah, there are those who are expectant (Noah and family) and those who are surprised by the flood, and taken away to their destruction. Think of sheep and goats, wheat and tares, there are separated groups, and separated ends. In the case of the thief there are also two kinds. Those who are watchful and those who are caught off guard. For example, in 1 Thess 5 we see: While people are saying, “Peace and safety,” destruction will come on them suddenly, as labor pains on a pregnant woman, and they will not escape Then the apostle explains. But you, brothers and sisters, are not in darkness so that this day should surprise you like a thief. This is an indication, to me at least, that it is not the church, that Jesus comes for as a thief, the thief comes upon those who are not expecting His return, that is what is behind my number 8. I do not think that He comes for the church in any secret, or invisible fashion, all I see is His visible coming, and some will be not be happy about it, others will be glad to see Him. Again, two groups of people, the elect who He chose, and those who rejected Him. Does that help? I really like this list. I only have question of number 8. would you care to elaborate a little on number 8 please? I think a little commentary could be beneficial on this one. but i can not tell you how many of these on this list drive me up the wall when i hear them... especially number 7. it says there is an appointed time, and day. God does not change. period. I am going to copy your list and try to add scriptures and keep some copies in my bible covers pocket so i can pass them out. thank you for putting this together. I thought perhaps considering the people here and topic, and the quality of discussion, that maybe this would be a useful contribution. I was posted in the forums, and after a considerable time for comment, I eventually closed that thread. 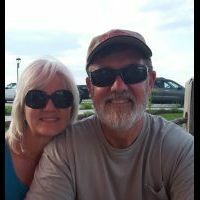 It seemed clear, that there were some who believed the concepts on the list, but basically there seemed or real responses that invalidated the claims I made about ideas that were not expressed in scripture. The list, was thirteen items (originally 9 I think) that are commonly believed, but not really from the Bible. You should see some links in the text below. Hovering a mouse cursor over them, might bring up a tip or short comment, and clicking the link should take you to a related resource or verse. Things some people say (which the Bible DOES NOT) about the End Times Notice, that this list, does not establish any end times theory, it tries to prove nothing. It does not even attack a theory, or attempt to refute one. What it does attempt to do, is to get people to ask themselves, why they believe certain things, that the Bible never says. So basically, in between the lines I am asking: If we believe certain things that are not stated in the scripture, and claim that we believe them because that is what scripture teaches, aren't we in principle adding to the words of scripture? Furthermore, if we teach these things as though they are true, does that make us false teachers? So, what things do I claim the Bible does not teach? Following is a short list: 1. It does not say there will be a Rapture of the Church, which occurs before the Great Tribulation. 2. It does not refer to a 7 year period as the Great Tribulation. (See Matt 24:21 & Rev 7:14) 3. It does not say that the Holy Spirit is missing from the Earth at any time during the Great Tribulation. 4. It does not refer to the Great Tribulation, as the wrath of God. 5. It does not say that Jesus will return secretly or invisibly to take His Church. 6. It does not say that no man will ever know the time (the day or hour) of His coming. 7. It does not say that Jesus can return at any moment. 8. It does not say that Jesus will return like a thief in the night for His church. 9. It does not say that believers will not be in the great tribulation, or skip suffering and persecution, or even death. 10. The Bible does not say the Rapture is the Blessed Hope. (Titus 2:13) 11. The Bible does not say that Jesus will return as a thief in the night, in any context that necessitates a pre-tribulation return. 12. It is often said: The Rapture is Jesus coming for His church, the Second Coming is Jesus coming with His church. Those definitions may be workable, however the Bible does not say there is a multi-year interval between those events. 13. The Bible does not say, that there are 144,000 evangelists or witnesses, during the tribulation. Some verses those who believe the Ezekiel war is next need to explain: Ezekiel 38:11 “You will say, ‘I will go up against a land of unwalled villages; I will go to a peaceful people, who dwell safely, all of them dwelling without walls, and having neither bars nor gates’ 15 “Then you will come from your place out of the far north, you and many peoples with you, all of them riding on horses, a great company and a mighty army. 39:9 “Then those who dwell in the cities of Israel will go out and set on fire and burn the weapons, both the shields and bucklers, the bows and arrows, the javelins and spears; and they will make fires with them for seven years. 17 “And as for you, son of man, thus says the Lord GOD, ‘Speak to every sort of bird and to every beast of the field: ... 20 you shall be filled at My table with horses... My take on the timing of the Ezekiel war: The collapse of our complex and fragile global systems during the Great Tribulation will, not too long after, be followed by the megadeath of the 6th trumpet. The ability to sustain complex technology: gone. The ability to manufacture complex weapons and explosives: gone. The ability to refine crude oil into gasoline: gone with the refineries. Which cannot be rebuilt, because most of the techs and engineers with the know-how to do so will be dead, and the complex parts-supply systems will be defunct. The remnant of people left on earth -- both God's and God's foes -- will have gone back to living rural pastoral lives in order to survive. This is why the invading armies of the Ezekiel 38-39 war will be riding on horses and carrying shields, spears, and bows. This is why Israel is living at peace, without walls: a long period of peace; or, to put it another way, exhaustion from war combined with a massive world de-population. Birds don't each motorized vehicles, but they do eat dead horses. Hi all, I believe this to be at the end of the 70th week, the Battle of Armageddon. Here's why: (though I'm not dogmatic) Ezekiel 39:7 states that God’s name will not be polluted anymore. The time following is full of profaning God. Ezekiel 38:23; 39:7, 27 Nations recognize sovereignty of God after. The time following is full of rebellion against God. Ezekiel 39:7, 22 states that God will not let them pollute His holy name anymore and Israel also recognizes the LORD their God from that day forward. This cannot happen until the conclusion of 70th week. Ezekiel 38:11, 14; 39:26 states that Israel will be in unwalled villages, at rest, dwelling safely, dwelling without walls, bars or gates. This is inconsistent with current or perceived future state of Israel up until the millennium. Ezekiel 39:29 God says He will never hide His face any more from them because He’s poured out His Spirit on the house of Israel. Again, this cannot happen until the conclusion of the 70th week. I am puzzled by this however. In Ezekiel 38:17, why does the Lord God ASK ....."Are you the one"....instead of declaring.... "You are the one". It appears purposeful. Is it because the Lord in His wisdom allows this to remain a mystery? Well, maybe it's nothing. I'm still digging into this. I have struggled with Eze 38-39 and continue to struggle. If what you say is true then Gog will come twice, once at the end of the 1000 years. This is where I get stuck, 11 And it shall come to pass in that day, [that] I will give unto Gog a place there of graves in Israel, the valley of the passengers on the east of the sea: and it shall stop the [noses] of the passengers: and there shall they bury Gog and all his multitude: and they shall call[it] The valley of Hamongog. 12 And seven months shall the house of Israel be burying of them, that they may cleanse the land. 13 Yea, all the people of the land shall bury [them]; and it shall be to them a renown the day that I shall be glorified, saith the Lord GOD. 14 And they shall sever out men of continual employment, passing through the land to bury with the passengers those that remain upon the face of the earth, to cleanse it: after the end of seven months shall they search. 15 And the passengers [that] pass through the land,when [any] seeth a man's bone, then shall he set up a sign by it, till the buriers have buried it in the valley of Hamongog. 16 And also the name of the city [shall be] Hamonah. Thus shall they cleanse the land. So I can't see this at the end of the millennium as fire consumes the armies and there would be no need for burying bones. 17 And, thou son of man, thus saith the Lord GOD; Speak unto every feathered fowl, and to every beast of the field, Assemble yourselves, and come; gather yourselves on every side to my sacrifice that I do sacrifice for you, [even] a great sacrifice upon the mountains of Israel, that ye may eat flesh, and drink blood. 18 Ye shall eat the flesh of the mighty, and drink the blood of the princes of the earth, of rams, of lambs, and of goats, of bullocks, all of them fatlings of Bashan. 19 And ye shall eat fat till ye be full, and drink blood till ye be drunken, of my sacrifice which I have sacrificed for you. 20 Thus ye shall be filled at my table with horses and chariots,with mighty men, and with all men of war, saith the Lord GOD. This surely looks like the battle of the valley of Jehoshaphat. Because this appears to me to be the reign of Christ, 21 And I will set my glory among the heathen, and all the heathen shall see my judgment that I have executed, and my hand that I have laid upon them. 22 So the house of Israel shall know that I [am] the LORD their God from that day and forward. 23 And the heathen shall know that the house of Israel went into captivity for their iniquity: because they trespassed against me, therefore hid I my face from them, and gave them into the hand of their enemies: so fell they all by the sword. 24 According to their uncleanness and according to their transgressions have I done unto them, and hid my face from them. There must be 7 years at the end. I don't want to write a book, which would be required to lay out all the evidence but I will present the case. From Matt 24 we know there are three main periods of the end of the age: the beginning of sorrows, the A of D, and GT. There are 42 month periods mentioned in Rev. Two in particular strike me as important: the 42 month reign of the beast and the 42 months of the ministry of the witnesses. There are several mentions similar to this length of time in different language and they cannot be consecutive for obvious reasons, nor concurrent in every case. The famine in Mat 24:7 and the 3rd seal is very similar to the power of the witnesses in Rev 11:6, "These witnesses have power to shut the sky so that no rain will fall during the days of their prophecy," If this was to be reality for 42 months it would be the worst famine the world has ever seen. Even if the rain was withheld for a single springtime devastating famine would ravage the earth in mere months. The witnesses cannot prophesy in the days of the reign of the beast. The two 42 month periods of the ministry of the witnesses and the reign of the beast cannot be concurrent and it's likely they do not overlap more than a day or two. The reign of the beast for 42 months will not have begun until the witnesses are killed. For 42 months the witnesses have plagued the earth and the beast was powerless to stop them, and only after the beast reaches the moment when his reign begins can he war against the witnesses. "When the two witnesses have finished their testimony, the beast that comes up from the Abyss will wage war with them, and will overpower and kill them...And those who dwell on the earth will gloat over them, and will celebrate and send one another gifts, because these two prophets had tormented them." It appears that only when it's time for the beast to begin his 42 month reign can the two witnesses be killed, and that only after the 42 month ministry of the witnesses. I don't see it this way but it's possible that the beast first arrives on the scene after the 42 month ministry of the witnesses. My perception of this, coupled with other related and imperative passages, is the beast was already operating but not yet allowed to begin his 42 month of terror, in large part due to the need for the confirmation of the covenant prior to the A of D. This makes sense in my mind as Israel will accept the worldly king who will protect them. I have heard this is what the Jews are looking for in their orthodoxy. 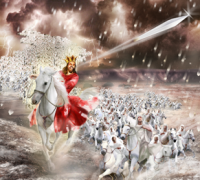 The two witnesses will arrive at same moment in time as the rise of the beast to prophesy against him and give fair warning to Israel about the doom to which they are rushing toward at a furious pace. To make this work the beast will have to appear to be the savior of Israel, it's benefactor, flattering and protective, sweeping promises made in sincere postures, only to betray them when the time comes. Certainly not an extra-biblical scenario. Prophecy is actually being fulfilled everyday. Gospel going out to the world, published in all languages, healings, etc. The beast will rise through the healing of the deadly head wound at the 1st seal and confirm the covenant. That should be the next major prophetic event. I'm looking intently for the agreement to be presented that is the one to be confirmed at the rise of the beast. We will be quite close at that point. Guess I'm a "johnny come lately" but I sort of forgot the club was started! I agree. For the man of sin to fulfill 2 Thess 2 there must be a Temple. To fulfill Dan 9 it must happen in the middle of the week. So a temple of stone must stand in Israel somewhere. Since there isn't one now in some way it has to be built. It's probable that when the beast 'confirms' an already existing agreement it will be directly related to the rebuilding of the Temple as it's a quite prominent prophetic requirement. That is what we should see to begin the end of the age. In my mind, from what I can see, the beast will rise to world fame because of the head wound that's healed, the world will be in awe and the most important aspect of this is the question the world voices, "Who is able to make war with him?" This perceived power, which will manifest in the physical, is what will gain the trust of Israel for protection, give Israel the worldly savior king they so desire, and allow the Temple to be rebuilt and liturgy and ritual to commence. This all must happen some time before the middle of the week as it will take time to rebuild the Temple, my perception is we will see the beast healed first which would be the first seal, and the confirming of the covenant will follow very quickly. I believe you are missing the point. The only time limitation -- 1260 days -- is mentioned in verse 5, which is speaking about the spokesman: Rev 13:5 And he was given a mouth speaking great things and blasphemies, and he was ﻿given authority to continue for forty-two months. The spokesman is fully under the authority of the Beast, is doing the work of the Beast, but is not the Beast itself. The spokesman is limited in time, just like all of the HUMAN kings of the north and south in Daniel 11. However, the SPIRIT-POWERS/kings of Daniel 11's north and south continued on functioning serially through human rulers, one human after another. These spiritual rulers are still here "at the time of the end," Daniel 11:40 tells us. Just as we are told in Daniel about the spiritual rulers of Greece, Persia, and Israel (Michael), who, we are told in Daniel 7:12 and 12:1, will also still be active in the last days. The little horn has "eyes like the eyes of a man" (Dan. 7:8), something never said about any of the beasts of Daniel or Revelation. I would have to disagree with this. Rev 13:5 And he was given a mouth speaking great things and blasphemies, and he was given authority to continue for forty-two months. Rev 13:6 Then he opened his mouth in blasphemy against God, to blaspheme His name, His tabernacle, and those who dwell in heaven. Rev 13:7 It was granted to him to make war with the saints and to overcome them. And authority was given him over every tribe, tongue, and nation. Rev 13:8 All who dwell on the earth will worship him, whose names have not been written in the Book of Life of the Lamb slain from the foundation of the world. We can make direct correlations here. Revelation 13:5 says he was given a mouth speaking great things and blasphemies, yes, however, Revelation 13:6 says "he opened His mouth." Then we are told that it was granted to him to make war with the saints and to overcome them. 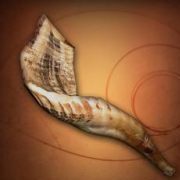 If we look to Daniel 7, we can see a couple of things about the little horn. 1. He is speaking pompous words. 2. He is making war against the saints. Dan 7:8 I was considering the horns, and there was another horn, a little one, coming up among them, before whom three of the first horns were plucked out by the roots. And there, in this horn, were eyes like the eyes of a man, and a mouth speaking pompous words. Dan 7:21 "I was watching; and the same horn was making war against the saints, and prevailing against them, If the horn is the mouthpiece and not the beast himself then it's the mouthpiece that is making war against the saints and not the beast himself, but that's not what revelation 13 says. It says that he will open his mouth up and speak blasphemous words and will *also* make war against the saints, both of which are attributed directly to the little horn, meaning that the little horn must be him. Since I wrote my post, I have come to a very different understanding. For the long explanation, see my last two blog posts, The 1290 and 1335 Days of Daniel 12:11-12, and The 1260 Days. Each is about 3 pages long. I strongly recommend that those interested in this topic print them out and study them out. In brief, Daniel 12:11 has been mistranslated, leading to this common but incorrect understanding, which I held myself: That is the understanding that follows from the standard translation. Here is the correct translation, with explanation: Literal translation of Daniel 12:11-12 And from the time the daily/continual service has been caused to be taken away and/even to the placing of an abomination of desolation: 1290 days. Blessed/happy is the one who earnestly waits, and comes/attains to 1335 days. “has been caused to be taken away”: Hophal Perfect 3ms of the verb סור [soor]. Hophal stems express causative action with a passive voice. Perfect tense means completed action (past, present, or future, here obviously being future). “and/even”: the Hebrew conjunction vav, ו. It usually is translated “and,” but also can mean “but, or, even, yet, when.” “to the”: ל This is the Hebrew preposition lamed, which means “to” or “for.” It has been omitted from the translations of nearly all versions of the Bible. Of the many versions I have consulted, it is found only in Youngʼs Literal Translation. Normally, this preposition would have a Shewa vowel pointing [ ְ ] underneath; but in this case it has a Qamats [ ָ ] underneath, which signifies that it includes within it the definite article “the,” the Hebrew letter ה . So this is to be read, “to the placing of an abomination of desolation…” “placing”: This is the correct translation of the Infinitive Construct of the verb root נתן [naw-than´], which means “to give, put, place.” An infinitive is a verbal noun, here being “placing.” The standard translation – “is set up” – distorts the meaning of the verb and the phrase. The addition of the preposition “to” significantly alters the understanding of the text. The standard translation is rather ambiguous about the relationship of the 1290 days to the two acts: 1) the ending of the daily religious ritual, and 2) the placing of an abomination of desolation. But the inclusion of the simple preposition “to” indicates that the first act begins the 1290 days, and the second act concludes the 1290 days: “from the time of the [removal] even to the abomination of desolation: 1290 days.” The literal translation indicates that the 1290 days precede the Abomination of Desolation. In contrast, the 1260 days until “the end of these wonders,” during which period “the hand [power] of the holy people [shall be] completely shattered/scattered,” does not begin until their flight into the wilderness, which occurs after the Abomination of Desolation. Dan. 12:1; Matt. 24:15-16, 21 This is the common understanding, but I disagree with it. Rev. 13:5 tells us that the Beast "was given a mouth speaking great things and blasphemies, and he was given authority to continue for forty-two months." This mouth is the spokeman of the Beast, not the Beast itself. Just as Aaron was the "mouth" of Moses: Ex. 4:16 "So he shall be your spokesman to the people. And he himself shall be as a mouth for you, and you shall be to him as God." Daniel 7's Little Horn is this human spokesman of the Beast, which spokesman is to only endure for 1260 days/3-1/2 times. But this spokesman is not the Beast itself, which is a far more powerful spirit. Daniel 7 makes that clear; Rev. 13 is not so clear, so most people miss it. The Little Horn is merely an appendage upon the head of the Beast; it therefore cannot be the Beast itself. No. For two reasons. Firstly, all of the first four seals seem to be worldwide in scope to one degree or another. I tend to think the second seal is probably going to be an indication of a multitude of conflicts. In other words, I think peace itself, the ability of nations to get along will basically be gone. The only "peace" that can be found will be after the rise to power of the anti-Christ and it will be false and fleeting. He is involved in several wars if Daniel 11:36 onward is in reference to him (which I believe it to be). Secondly, I think that at least Psalm 83 and Ezekiel 38-39 are prior to any of the seals being broken. It's possible (in my mind at least) that these two specific events may be the final harbingers that the end is upon us (the end in the context in which I speak being with reference to what would probably the beginning of the 70th week of Daniel becoming imminent). Some people make a pretty good argument that Psalm 83 was fulfilled in the Israeli war of Independence, the Six Day war, and/or the Yom Kippur war or combinations thereof. Some people also make pretty good arguments against that assertion. I'm torn on it personally. Ezekiel 38 has decidedly not happened yet, but it would seem like the major players in that prophecy (russia, iran, turkey) have already formed a tacit alliance against israel to at least a limited degree. This doesn't mean it's imminent, but it's interesting that the three main players from this are all physically operating in a country that sits opposite the highest mountain country in the land of Israel, which is basically the path of invasion through which they seem to come. Eze 39:4 You shall fall upon the mountains of Israel, you and all your troops and the peoples who are with you; I will give you to birds of prey of every sort and to the beasts of the field to be devoured. Russian troops patrol the Israeli border in the Golan as we speak. Seeing that sort of thing happen (there are actual photographs), even if it does not have immediate significance, is the next nearest thing to surreal, particularly when you consider the fact that such a thing would not have seemed possible 10 years ago and would not have seemed at all likely even 5 years ago. The second verse of Ezekiel 39 seems to indicate that they will be "turned around" and brought up from the far north. I don't think it's entirely necessary or that it *must* be interpreted in this way, but if I see Russia attempt to pull out of syria and then have some "unexpected" reason in which they have to return in greater numbers, that is certainly going to raise my antennae.